Stephen Brown produces restful contemporary art with real interest. Light and atmosphere are always a compelling combination in Stephen Brown paintings. 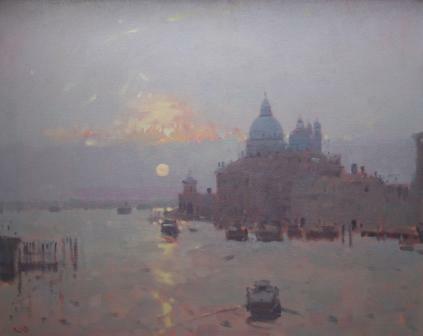 In the painting ''Venice Sunrise'' Stephen has captured the start of day in everyone''s favourite city. Brown''s treatment of light and reflections captures a fleeting peaceful moment in time '' before the hustle and bustle of the Venetian day. All Red Rag paintings are sourced from the Stephen Brown artist studio.